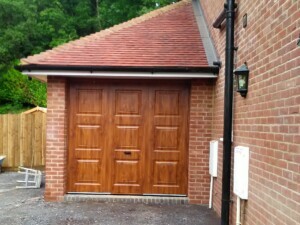 These Novoferm steel garage doors have been manufactured in their ‘Georgian’ panel design. 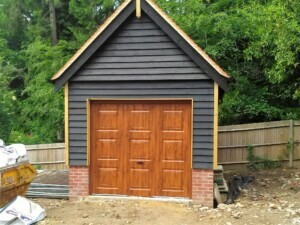 The customer’s chosen colour is ‘Golden Oak’. 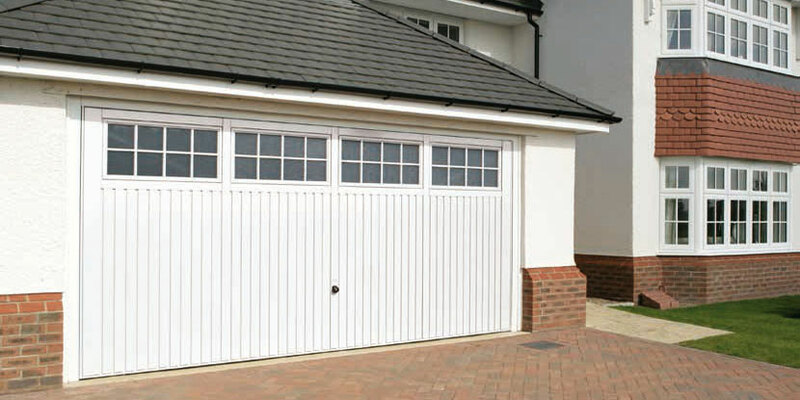 This garage door is an up and over door and is produced in corrosion resistant premium grade galvanised steel. The black Euro handle comes as standard. 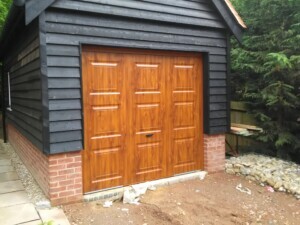 This garage door is available in a wide range of colours and made to measure sizes.